Sherlock Holmes Consulting Detective is a cooperative game, where you try to solve mysterious cases by interviewing suspects, searching newspapers and walking the streets for clues. Once you have completed your investigation, compare your detective skills to the master sleuth himself, Sherlock Holmes. The Thames Murders & Other Cases is a stand alone game providing 10 murder mysteries . 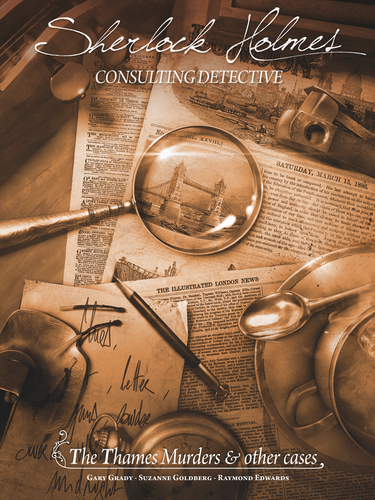 Equipped with a copy of The Times, a map of London, a directory, and most importantly, your logic, you will roam the streets of London trying to solve the most heinous crimes. Another in the Sherlock Holmes Consulting Detective series is Jack The Ripper & West End Adventures. Not Alone is a 2 to 7-player asymmetrical card game. It's the 25th century and an intergalactic expedition has shipwrecked on Planet Artemia. The crew have discovered they are not alone. 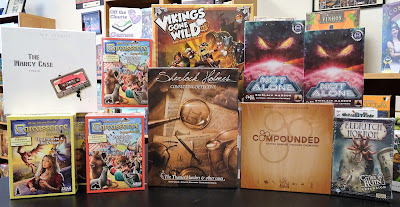 One player is The Creature and all other players make up the shipwrecked crew and become The Hunted. The Creature stalks and pursues the The Hunted by playing Hunt cards and using the mysterious powers of Artemia. Your goal is to assimilate the Hunted to the planet. The Hunted will explore Artemia using Place cards and Survival cards in an attempt to avoid, confuse or distract the Creature until help arrives. 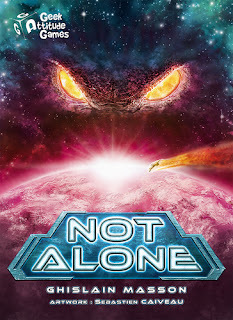 Come on Saturday, July 22nd to our special free demo event to learn about and play Not Alone. 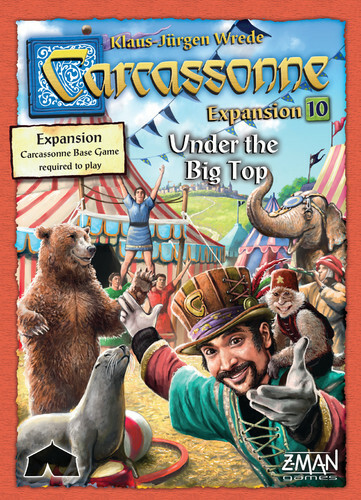 Carcassonne, the classic tile-laying game has a new expansion, Under The Big Top. The Circus travels with its animals from place to place. 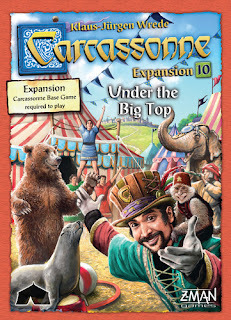 Once the Big Top goes up, nearby meeples come to take in the attractions. Players who can lure meeples to their attractions can earn big points. However, these tiles do not score when completed but when another tile of the same type is played. Acrobats are true performers. As soon as they find a suitable spot, their 1st instinct is to stack and form a meeple pyramid. In order to add a meeple to a pyramid you must place a tile adjacent the pyramid tile. The Ringmaster leads a fairly normal life, but he truly shines when he is surrounded by acrobats and the circus adding extra points when adjacent. The Human Age is Ending! 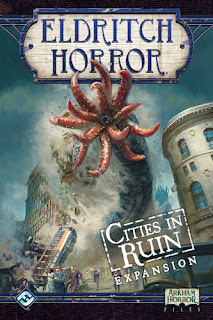 Cities In Ruin is the latest expansion to the base game Eldritch Horror, a co-operative adventure board game based on H.P. Lovecraft fiction. This expansion introduces Shadde M'ell, a destructive new Ancient One. Heralding this new threat is the advent of Disasters and Devastation Encounters as well as destructive new Mythos cards. Four weary investigators join the fight, bringing with them new Artifacts, Assets, Spells, and talents to stave off the twilight of humankind.